What is Highest & Best Use? Once the highest and best use has been determined, the appraiser can then apply the appropriate approaches to value. What does “appraisal” really mean? Basically, an appraiser performs an estimation that produces an opinion of value. This opinion or estimate is arrived at through a formal process that commonly utilizes three “common approaches to value”. To build a case for a homeowner’s equity and remove insurance. To determine an honest property value when selling your home. It’s possible you could be involved in a lawsuit – an appraisal will help. Relevant property attributes, including: location, physical characteristics, legal attributes, economic factors, the real property interest valued, and non-real estate items included in the valuation, such as personal property, permanent equipment installations and even intangible considerations. Once the appraisal has been delivered, how can I have assurance that the value indicated is trustworthy? The final appraisal report was clear, legitimate and defensible. Be sure the appraiser has easy access to the exterior of the house (gates aren’t locked, etc). Trim any shrubs and relocate any items that would make it difficult to measure the structure. Make sure the appraiser can get to items like furnaces and water heaters. Locate copies of the current listing agreement, broker’s data sheet and, if the sale is “pending”, the purchase agreement. Have you heard an appraiser use any of these terms? 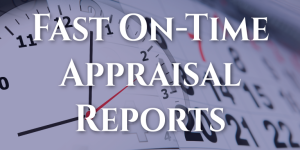 Did you just hear one of our appraisers use it and you came here to figure out what it meant? We don’t mean to speak a foreign language, but any profession has its jargon. What res ipsa loquitur is to a lawyer and triple witching is to day traders, external obsolescence is to appraisers. Here are some examples of common appraiser jargon and their meanings: Adjustment. When comparable properties have been identified, the appraiser adjusts the value of the subject property according to differences in living area, acreage, frontage, amenities and the like. This is where the professional expertise of an appraiser is most valuable. Chattel. 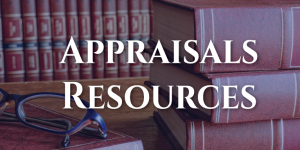 Personal property that may be on the subject property but which does not figure into the opinion of value in the appraisal report. Comparable or “comp”. Properties like the subject property nearby which have sold recently, used as a basis to determine the fair market value of the subject property. The Uniform Standards of Professional Appraisal Practice (USPAP) establish clear guidelines for comparable selection. Drive-by. 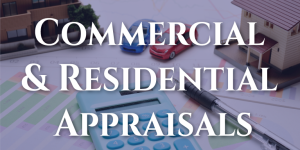 An appraisal that is limited to examination of comparable sales and a determination that the property is actually there and has no obvious defects or damage visible from the outside. Fannie Mae’s form for this type of appraisal is its 2055, so you may hear a drive-by referred to as a “2055.” Fair market value. The appraiser’s opinion of value as written in his or her appraisal report should reflect the fair market value of the property — what a willing seller would pay a willing buyer in an arm’s-length transaction. GLA. “Gross Living Area,” the sum of all above grade floor space, including stairways and closet space. GLA is often determined using exterior wall measurements. Latent defects. A defect on the property that is not readily apparent but which impact the fair market value. Structural damage or termite infestation might be examples. MLS. A Multiple Listing Service is a proprietary listing of all properties on the market in a given area and their listing prices, as well as a record of all recent closed sales and their sales prices. Created by and used primary by real estate agents, many appraisers pay for access to these databases to aid in comparable selection and adjustment research. Obsolescence. The value of assets diminishes as their capabilities degrade or more desirable alternatives are developed. Functional obsolescence is the presence or absence of a feature which renders the property undesirable. Obsolescence can also occur because the surrounding area changes, making a feature of the property less desirable. Subject. Short for the property being appraised — the “subject property.” Useful life. The time during which a property can provide benefits to its owner. URAR. Short for Uniform Residential Appraisal Report, Fannie Mae form 1004, it is the form most lenders require if they need a full appraisal (that is, with walk-through inspection). USPAP. Short for Uniform Standards of Professional Appraisal Practice, USPAP promotes standards and professionalism in appraisal practice, and is often enacted into law in a state. It is promulgated by the Appraisal Foundation, a non-governmental entity chartered by Congress to, among other things, maintain appraisal standards. Walk-through. An inspection that includes a visit to each part of the interior of the house used in estimating value.